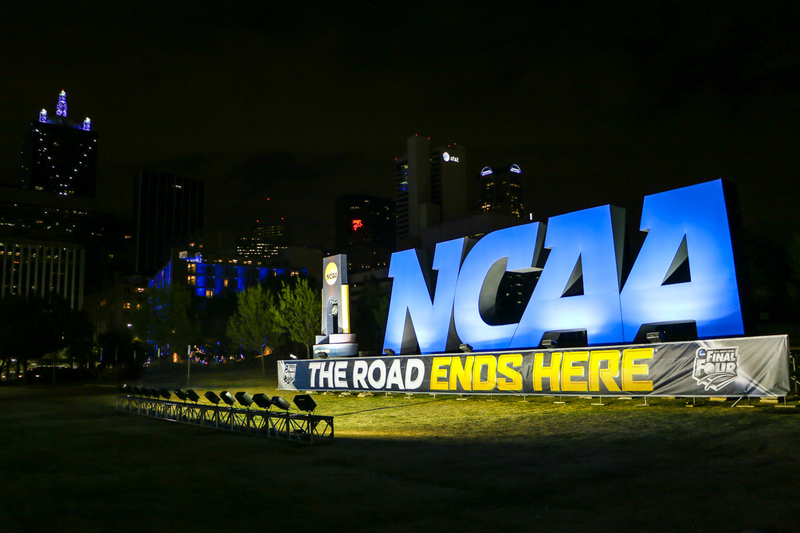 The NCAA Men’s Final Four brings much more than college basketball’s best teams to compete in the spring. 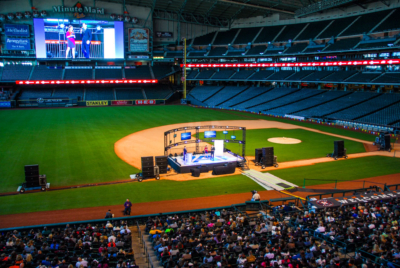 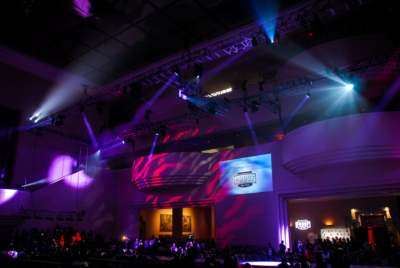 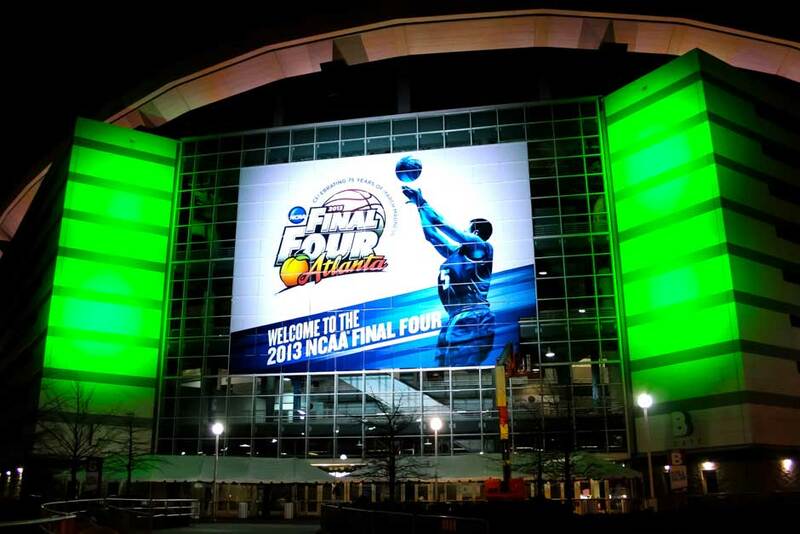 The NCAA event takes place yearly in different major cities across the U.S. and this year LD Systems in San Antonio, Texas was chosen to support production services for the local event. 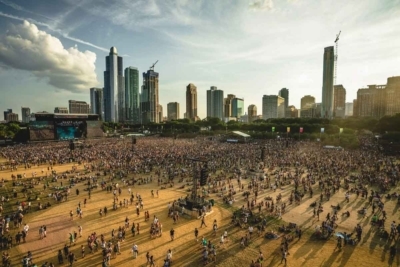 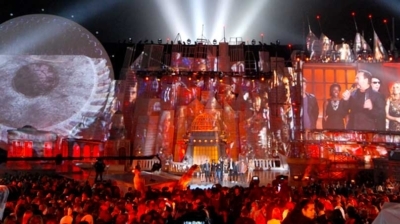 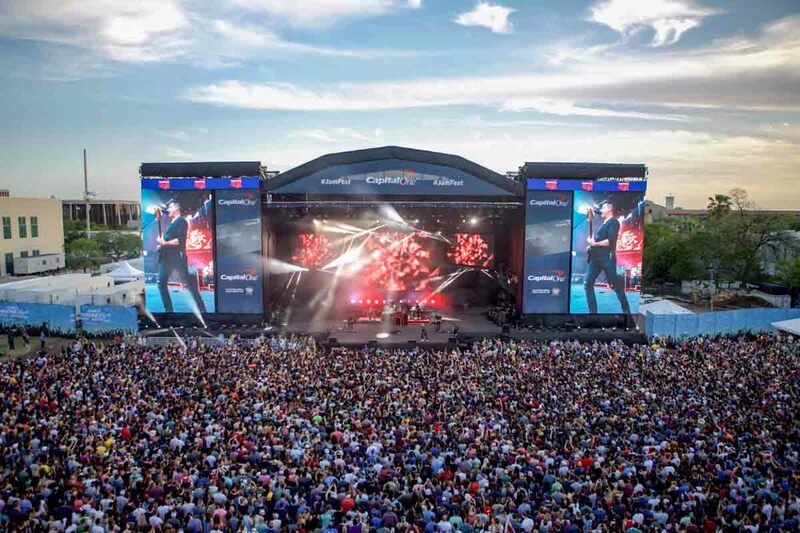 LD Systems provides a wide range of event production services and technical expertise supporting these national events that often cover several square miles of a given metropolis. 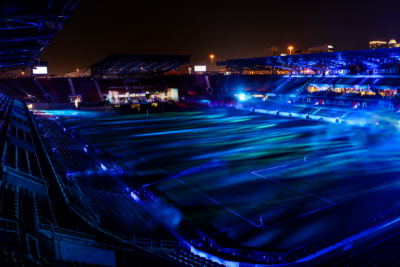 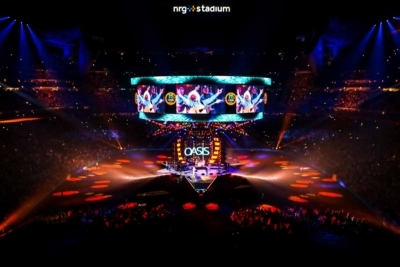 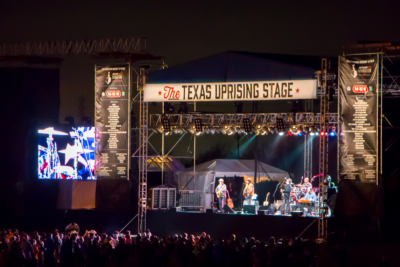 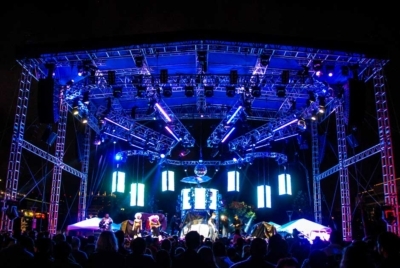 LD Systems Production Support services include designing and building several custom truss structures with lighting treatments for different sites and alternate locations including tailgate events. 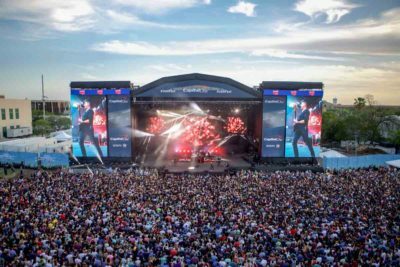 The Production Services Audio Team deployed our L-Acoustics K1/K2 sound system in support of the Music Festival concert stage. 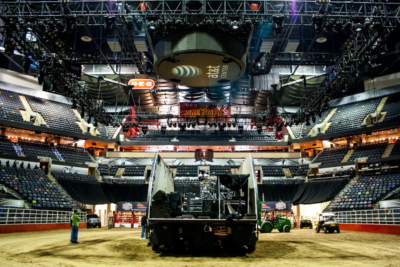 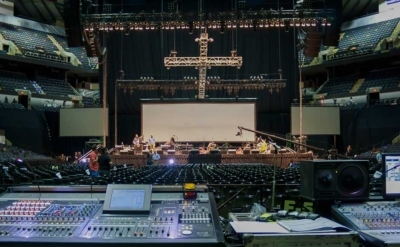 The recently renovated Alamodome in house L-Acoustics sound system, originally installed by the LD Systems Audio Installation Team was augmented with more amplification and speaker enclosures to surround the arena and additional audience seating. 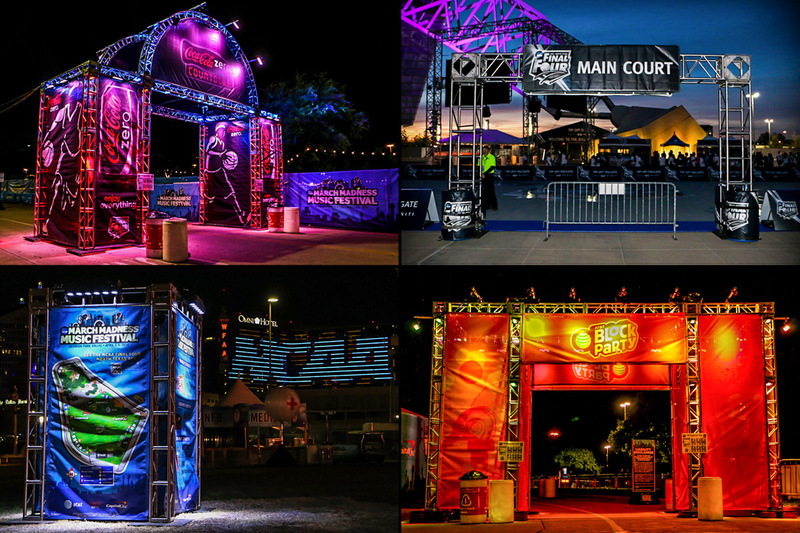 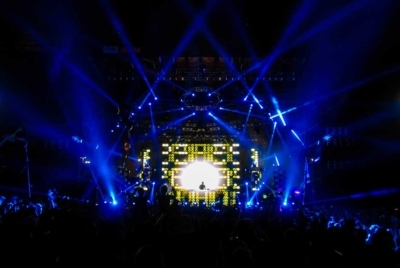 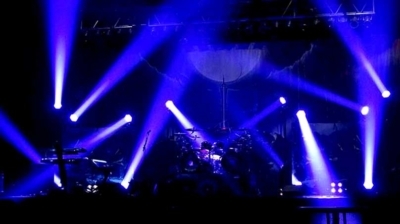 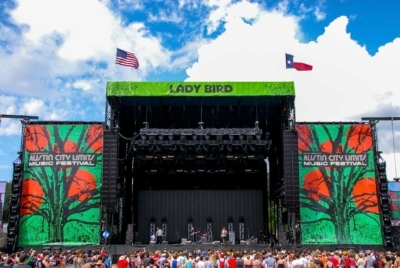 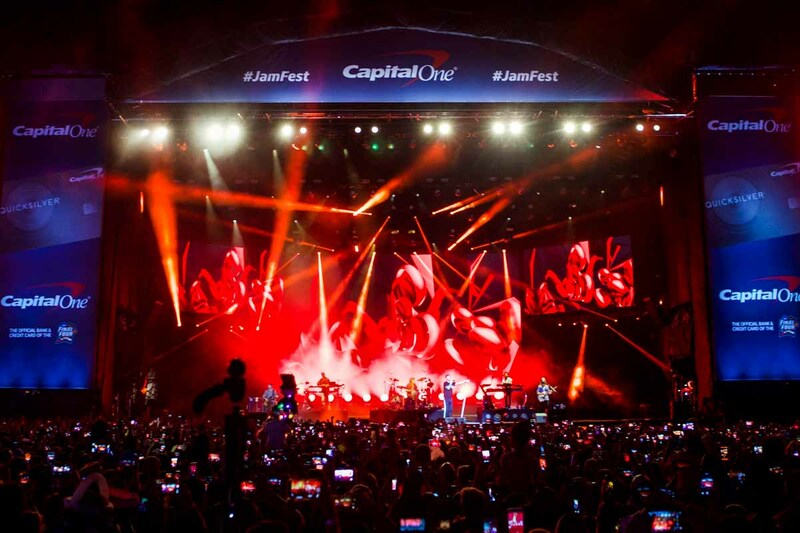 Our Lighting Design team deploys stunning lighting designs for the March Madness Music Festival stage and elaborate scenic area lighting to enhance the overall site appearance for festival patrons and television broadcast. 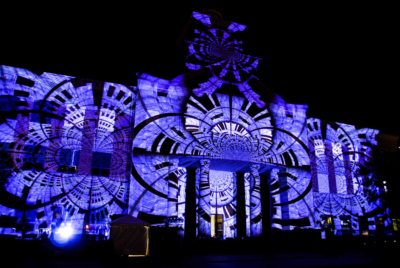 We also have provided scenic lighting for outdoor buildings and significant areas of interest in each city location. 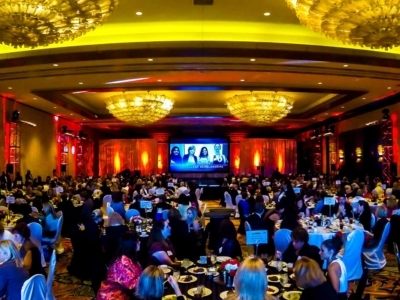 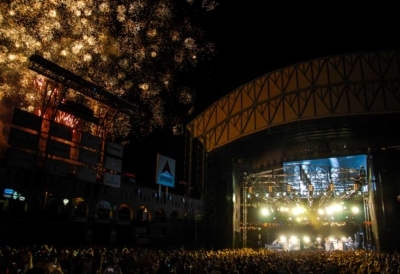 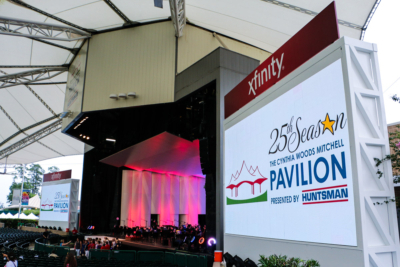 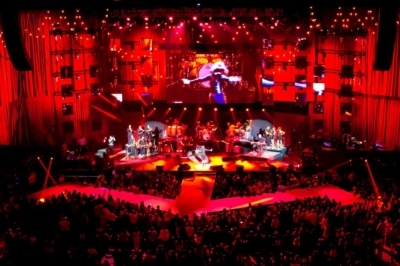 LD Systems provides many of the services necessary for a multi day event of this magnitude. 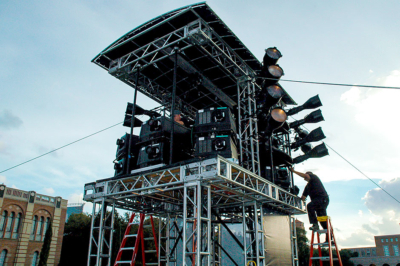 We also offer expertise in large scale techinical production and our Team is the perfect fit when outdoor production services are required.